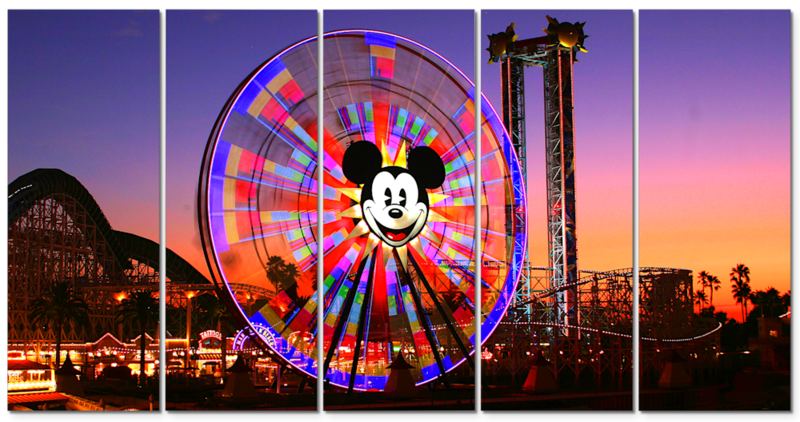 This 5-piece Canvas Wall Art Minneapolis piece named "Mickey's Fun Wheel" consists of five equal size Canvas Gallery Wrap pieces. 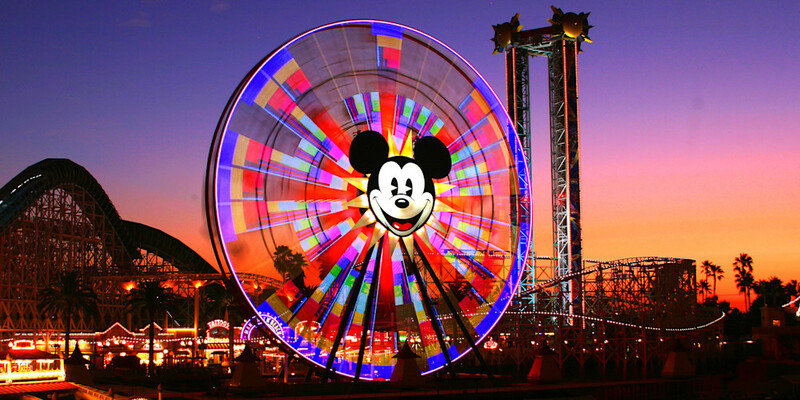 This print features the Mickey's Fun Wheel at Disneyland's California Adventure. It has been a very long time since I have been to Disneyland in California. In fact, it is now approaching 10-years since my last visit. On that one visit, they were repairing the reflective pool that is near the Mickey's Fun Wheel, so I couldn't get any of those fancy reflective shots, but I am very happy with getting a California sunset in my Disneyland photos of Mickey's Fun Wheel. I hope you enjoy my Disneyland images, and please feel free to share! Mickey's Fun Wheel Photograph as Fine Art.